Tomes and Tequila: New Giveaway!!! 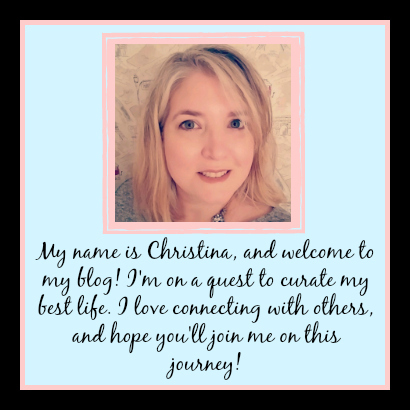 I have a super fun, short and sweet post for you today!! I am doing my 2nd Giveaway on Tomes and Tequila!! I have personally purchased a few of my favorite things to share with one very special reader of the blog. 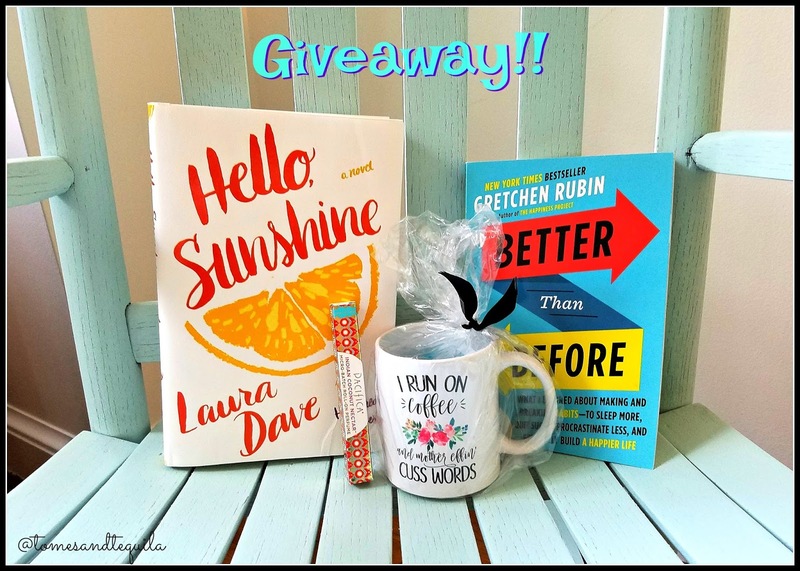 Hello, Sunshine by Laura Dave is one of my favorite books of the summer. Have a look at my review over here for more info on this super cute book that was originally sent to me by Booksparks as a part of their Summer Reading Challenge. I ended up with more than one copy, so I'm sharing the love!! If you are a long-time reader of mine, you know how much I love Gretchen Rubin. Better than Before is a great place to start if you've never read any of her books. It's all about habits, and a great intro to her Four Tendencies theory before her new book comes out! Next I have this super cute coffee mug from Mugsby on Etsy. I have to tell y'all, I was really tempted to keep this one for myself! It says "I Run On Coffee And Mother Effin' Cuss Words". There's not much else I can say about it other than just looking at it makes me happy. And then, since I'm a self-proclaimed perfume whore, I've thrown in a roller ball from Pacifica in the Indian Coconut Nectar scent. Nothing super fancy, but the smell makes me think of summer...and as it gets cooler here in NoVA I feel the urge to keep summer here a little bit longer. Unlike the last giveaway, I've decided I'm keeping it open to all locales. For you, I will search the deep recesses of my brain and remember how to fill out a customs form!! You'll have two opportunities to enter and the contest will be open until AUGUST 31!! at 9 pm EST ...and I'll be using an online random name picker to select the winner. Once the winner is selected, I'll announce them on the blog and social media. If your name has been picked, I'd ask that you email me or send me a PM on Facebook with your address so I know where to send the items. Comment on my giveaway post on my Facebook page with what your favorite book to screen adaptation is for another entry. That is two very easy chances to get your name in on this contest, and like I said, I'll dump all the names into a random online name picker to get our winner. Share the contest with friends if you wish to share the love! I just wanted to show my appreciation to my loyal readers. Enjoy...and I look forward to hearing your answers to the above questions. And remember, I've given you 2 chances to win, here on the blog and over on Facebook! !